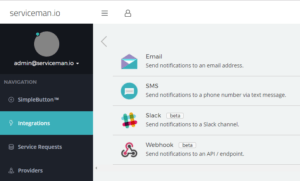 Empower your guests with calls, check out, general information and service requests. 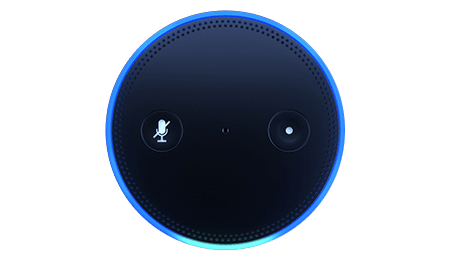 Hotel guests connect with your hotel staff through voice-based Amazon Alexa-enabled devices, that are easy to deploy and personalized for your hotel. 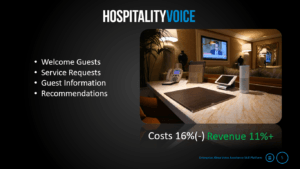 Guests simply ask their rooms for things like more towels or housekeeping services, valet, check out, room service and EasyVoice efficiently routes the request. Provide quick answers to the most common questions, like what’s the wi-fi password. By sharing information in a fun and interactive way you can stop the guest services phone from ringing with the same questions over and over again and even redirect your guests toward high margin offerings. Provide top-quality local recommendations to your guests - dinner recommendations from your property’s chef, drink recommendations from the resident mixologist or favorite attractions shared by a local celebrity. Make guests feel instantly welcome with custom greetings for VIPs, wedding guests, conference attendees, or any other group. Drop us a line or call us today at 602-497-4833 for a free quote! We love talking about Voice Assistance. Let's talk about your business and how we can help.